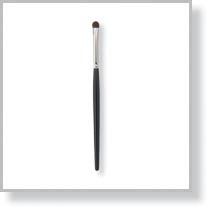 This brush lines your lashes with a thin line of color, easily and effectively. 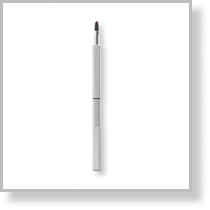 The angled ferrule (the brass part between the handle and the bristles) arches toward your eye, making it easier for you to apply liner on yourself. 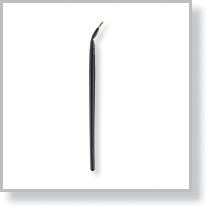 The bent tip keeps your hands and fingers from getting in the way so you can concentrate on precise application. The synthetic taklon fibers allow you to use with all types of liners.